Are you ready for the New Year ? Here on Fashion and Cookies we are throwing a little party to welcome 2013 thanks to the amazing webshop Shopbop ! Yes, we are having a new Giveaway, starting today, up until January 8th ! A lucky follower of this blog can win a $100 gift card for some free shopping on Shopbop !!!. This webstore is truly a heavenly place for all fashionistas, it has an amazing, unbelievable selection of designer and brand clothes and accessories, shoes and bags, so I would use that $ 100 gift card in many ways. For example, I'd love to get myself some Moschino accessories, especially those for my iPad and iPhone !. I am amazed at the great selection of clothes and cool accessories for every taste and budget...I have prepared a set below with a few things I'd love to get myself from Shopbop, just to show you. To keep updated on this amazing webshop, I suggest you to Fan Shopbop on Facebook to check their timeline and exciting news ! :-). I also find it very useful to keep updated on fashion trends and get shopping ideas to check Shopbop blog and also, since I am a Pinterest enthusiast, I love visiting Shopbop on Pinterest ;). With this amazing Shopbop Giveaway you can win a $100 gift card to buy ANYTHING you want to by following the simple rules you find below and filling the Rafflecopter form, as ever !. The winner will be selected randomly with Rafflecopter, announced on the blog and the name will be given to Shopbop. Good luck everyone, happy new year 2013 and happy shopping !. What are you waiting for ? Come and join the New Year party !. I'd like to pick a pair of Hunter Boots! There's so much to love. Thank you. I choose the Splendid Lima Knee High boots as my current favourite. RC name is nicolthepickle. hi, great giveaway! If i won, i would go for a rebecca minkoff bag! Thanks, Radmila, rada76@mail.ru Happy Holidays to you ! Hello there, you're hosting an amazing giveaway! My name is the same as the GFC one, so Chiara Munzone. Cara Vale, ti auguro di poter iniziare il nuovo anno nel migliore dei modi e di proseguirlo con tanta gioia e serenita'!! I love marc jacobs and I have been eyeing their Too Hot to Handle Mini Shoppe bag! I love the Classic Q Baby Groovee Bag - Marc by Marc Jacobs. i love Cambridge satchel, thank you. I used Tina Maria in rafflecopter! and i love the hunter boots! I love the marc by marc jacobs sunglasses!! Mi piacerebbero un paio di ballerine Tory Burch! I entered on almost all the entries! It's so confusing! I love everything, and if I won, I would go crazy trying to decide what to get. Should I blow it all off on a pair of shoes? Or get a small assortment of things?!?! Hello from Spain: I love hunter boots!. Happy Year! We keep in touch in 2013. I'd love the Metallic Wool swetaer by Rochas! Diego Bucket Bag with Rose Gold Hardware. Loved the Sergio Rossi Patent Snakeskin Pumps!! I love this Curley Diamonds Cardigan from Shopbop. Entered the Giveaway. Hope to win. There are so many beautiful things! Joined! Hope to win this one haha! hecho, precioso todo y feliz año!! besitos!! I entered as Georgia Karantani! I love Pencey Standard Moto Jacket / Vest! I wish you all the best in the new year, may it bring everything you missed out on this year and plenty more of the good things 2012 offered! Love this high-heel shoes. To die for. Johanna Ankle Cuff Sandals in black. I love the alina dress! Troppo imbarazzo nella scelta, non saprei da dove iniziare se dovessi mai vincere... Forse un orologio Michael Kors? Happy New Year, by Mina. I would love an iPad cover from Alexander Wang, so pretty! Also, I love everything from Marc Jacobs. I love these leopard booties! I Love the....Rebecca Minkoff bag!! con questi giveaway potrei morire! 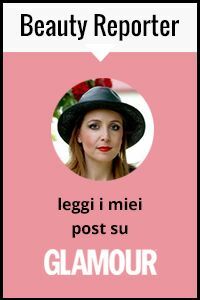 io vorrei troppo prendere un altro lagina cuff di vitafede!!! incrociamo le dita! speriamo bene! magari iniziasse veramente cosi il mio 2013!! I just LOVE this giveaway !!! I've been looking at this for a while! I would get the Tory Burch zip coin case, thank you so much for this great opportunity! I really want a rose gold Michael Kors Watch!! I love the Shopbop fur hats! ciao, mi piacerebbero gli Hunter boots! My name is Aria S on rafflecopter right at the moment! Ciao! Shopbop mi fa sogniare troppo! Ho scielto Chevron Quilted Driving Gloves! I like the RED Valentino Bow Satchel. I really like the Soft Joie Navaeh Sweatpants . Love the Marc Jacobs earrings!! I love the Simone Camille Small Carpet Bag. I really like the Point d'Esprit Slip Dress by Free People! I like the Rag & Bone/JEAN. I like the Cambridge Satchel. I like the Pencey Standard Warrior Blazer.